The Maitake mushroom is one of those well-loved fungi because of its distinct earthy and musky taste, distinct aroma and succulent texture. It is popular in many names such as “hen of the woods,” and “dancing mushroom.” In the culinary world, Maitake mushrooms are commonly paired with dark green vegetables, chicken, fish and red meat. There is also growing evidence that this humble mushroom has numerous medicinal benefits. With its versatility, there has been a growing demand for this mushroom. If you are looking to grow mushrooms at home, Maitake is a good choice. It is easy to grow and easy to maintain. 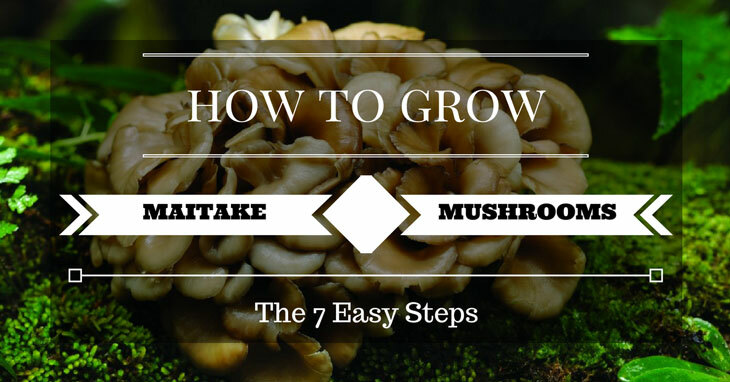 In this article, we will discuss the simple procedures for growing Maitake. But before that, it is important to first get to know this mushroom so that you’ll easily understand the way it grows and how it looks like when its ready for harvest. Fruit body – Maitake mushrooms grow in clusters of flattened caps that look more like a sitting hen or a feather duster. This cluster is called the fruit body which can be 4 to 6 inches across or even more. The weight of a cluster ranges between 3 to 15 pounds. Cap – Each individual cap typically measures 1 to 3 inches across. They normally appear to be grayish to brownish in color with a white area in the middle of the cap. Stem – The central white stem of the Maitake is generally composed of complex branched structures, more like broccoli and cauliflower. Flesh – The Maitake has a white flesh that becomes tougher with age. Spores – The white spore print that you can get from Maitake is easy to propagate for the next growing season. Maitake mushrooms are widely available from early September until early November. It is one of the mushrooms that grow on trees. You could easily find them in mature or old oaks with dying branches. You can also find them in dead stumps near lakes, ponds and coastal areas. More often, you can find several fruit bodies in one tree. Maitake mushrooms normally reappear in the locations where you initially discover them. At home, you can grow Maitake in an indoor or outdoor setting. Growing Maitake outdoors help you easily mimic the natural habitat of this fungi. I found a simple procedure for growing Maitake mushroom outdoors from SFGate. Note: You can buy inoculated oak dowels from home and garden stores in your area or online. 1. Submerge the oak log in cold water and then leave it to soak for about two hours. 2. Drill 25 to 30 holes in the log. Make the holes about 1-1/2 inches deep and then insert the inoculated oak dowels in each hole. 3. Tap the oak dowels with a rubber mat so that they will be properly inserted inside the holes. 4. Over low heat, put the cheese wax in a sauce to let it melt. Brush the melted cheese wax over the dowels using a pastry brush. Allow it to cool and set. 5. Apply a second coating to ensure a good seal. This will help prevent insects and other fungi from entering. 6. Place the oak logs outdoor and be sure to position them in a damp area. Don’t place the logs right on the ground but suspend them using bricks or you could put them upright against a wall. 7. Water the logs and make sure they feel moist but not wet. You could do it again in two-week intervals. It could take from six months to one year before the Maitake will show growth. You may also soak the log in ice water for about 24 hours before placing it outdoor. This will shock the Maitake spawn to grow. This technique is known to create an environment that prompts the mushroom spawn to react just like during spring when removed. If you have a limited outdoor space, growing Maitake indoors is an alternative option. I found this procedure from Buzzle simple and easy to follow. 1. Prepare the substrate in a clean and sterile surface. Make sure to measure the components before adding to the mix. The lime helps maintain the pH requirement of Maitake. This mushroom needs a pH of 5.5-6.5 to grow nicely. 2. Fill the cultivation bag with the substrate. Don’t make it full to the top. Be sure to leave at least 2 inches of space for the casting. 3. Add Maitake spawn in the substrate and mix well. Use a sterile spoon in this process to prevent contamination of other fungi. 4. Form a casting over the substrate. It should be about 1 to 2 inches. The potting soil will provide necessary support for the mushroom to grow. 5. Find a well-ventilated room that is not directly exposed to sunlight. Light source is not a necessity until the mushroom starts to show growth. 6. Maintain a temperature of 60-70°F inside the room. Be sure to keep the humidity between 60-65%. 7. Water the Maitake daily using a mist spray to keep the substrate moist. With this indoor growing method, it takes about 3 to 4 months for Maitake mushrooms to mature. If it is your first time to grow Maitake, you may also consider getting a growing kit. They are readily available online. The Maitake growing kits are a great option for beginners as they are easy to set up and they also grow fast. 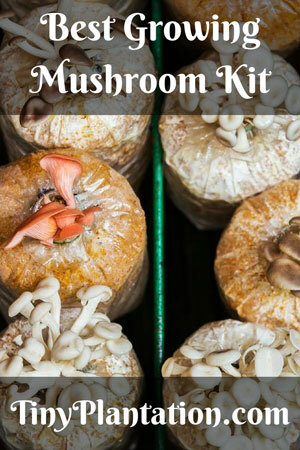 Kits are also convenient to use as even kids can grow mushroom through a kit. Harvest the Maitake when they are large enough. You can check if many of the caps measure around 1 to 3 inches across as that is a good indication. You can start harvesting the erect ones with earthy smell. Remove any caps with drooping caps and fishy smell as they are not good for consumption. One good thing about Maitake is that they don’t get really tough when they mature. When harvesting, support the mushroom cap by holding it with your hand while the other hand cuts the base with a sharp knife. You can then put your harvest in a paper bag and store in in the refrigerator. This technique will make your mushroom last up to two weeks. Freezing is another popular technique for storing Maitake. You can watch this video for some tips on how to prepare Maitake for freezing. If you want a continuous supply of Maitake mushrooms, growing them at home is a good alternative to buying them. Although they could take months before Maitake will mature, you can expect an abundant yield if you cultivate them properly. The methods we have listed above should help you get started. The option on whether to grow Maitake indoor or outdoor depends on your available space and what is convenient to you. Did you find this article helpful? If you do, please don’t forget to share it with your friends. If you want to share your tips and techniques in growing Maitake, please feel free to share them with us through the comment section.